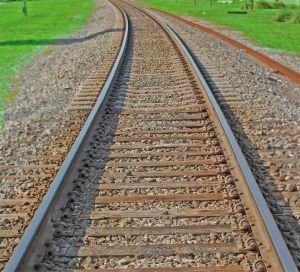 Seven major railroad projects will now cost substantially less to operate. Albany, NY - September 17, 2013 - Governor Andrew M. Cuomo today announced that MTA Long Island Rail Road and local private-sector unions have reached a Project Labor Agreement designed to reduce the LIRR’s labor costs on seven major construction projects by nearly 11%, saving the Railroad an estimated $6.5 million over the course of the next five years while protecting local trade union jobs. The agreement, negotiated between the LIRR and the Buildings and Construction Trades Council of Nassau and Suffolk Counties, is a first for the MTA and the LIRR. In addition to reducing costs, the pact includes a ‘no strike’ clause on the covered projects, provides opportunities for minorities and women to enter trade union apprentice programs and includes non-discrimination provisions in union hiring hall and job placement practices. The ‘Double Track’ project will improve service and reliability on one of the LIRR’s busiest branches, spur economic activity, improve off peak frequency of service and reserve peak commuting opportunities, including connections to MacArthur Airport. The Double Track project environmental assessment and 30-day comment period on the project has been completed and a final decision on the project is expected in the fall. The Buildings and Construction Trades Council of Nassau and Suffolk is an umbrella organization representing 20 trade unions, all signatories of the agreement. Those unions are the Operating Engineers Local 138, Plumbers Local 200, Steam Fitters Local 638,Sheet Metal Workers Local 28, Asbestos Workers Local 12, Roofers Local 154, Iron Workers Local 361, Painters Local 1486, I.B.T. Local 282, Glaziers Local 1087, Bricklayers Local 1, Cement Masons Local 780, Engineers Local 15-D, Resilient Floor Coverers, Local 2287, Iron Workers Local 580, Laborers Local 66, Suburban New York Regional Council of Carpenters, Sheet Metal Workers Local 137, Laborers Local 1298, Lathers Local 46, Elevator Constructors Local 1 and Dockbuilders Local 1456. In undertaking negotiations with the Buildings and Construction Trades Council and its members, the Long Island Rail Road's goal was to obtain the best work at the lowest possible price, prevent favoritism, fraud and corruption, and avoid delays and labor unrest. Maximum percentage apprenticeship work force allowed by state law. The LIRR estimates that the contract revisions will result in direct savings of $6,595,179 or 10.97% of the total labor cost of these capital projects. The estimated economic benefits of the PLA have been confirmed in a study performed by the engineering firm of Hill International, which has performed this service in connection with numerous other PLAs. Moreover, additional savings are expected as a result of no-strike and management rights provisions which ensure the work proceeds expeditiously with a dependable contractor workforce over the full five-year period. The deal includes Equal Opportunity hiring provisions and promises fair treatment for minority and women contractors, terms of which were negotiated with the help of MTA Chief Diversity Officer Michael Garner. Veterans also benefit through the use of the “Helmets to Hardhats” program, providing qualified individuals with apprenticeship opportunities. Subject: LongIsland.com - Your Name sent you Article details of "Governor Cuomo Announces MTA Long Island Rail Road and Construction Unions Agree to Reduce Labor Costs by $6.5 Million"